You don't have to travel into the city for the theater. Check out these various theaters and their productions in Northwest Indiana. The Acting Theatre of Michigan city is a not-for-profit foundation dedicated to producing first-time theatre of all disciplines created especially for Michigan City area audiences and in cooperation with other arts organizations. BEATNIKS was created by Rip and Bonnie Johnson as a place for creative minds to try out new material, for theater groups who need a place to perform, to offer the public a place to relax, have a cup of coffee, maybe a snack or two, and be entertained. Unless otherwise marked, shows on Friday and Saturday - doors open at 7:30 PM, show starts at 8:00 PM. Sunday matinees - doors open at 1:30 PM, show at 2:00 PM. Plan on being prompt... for complimentary beverages, snacks and pastries. Our award-winning theatre company began a new chapter of its history in 1997 when we purchased the Chicago Street Theatre, located at 154 West Chicago Street in Valparaiso, Indiana. The theatre underwent an extensive renovation completed February 1, 2008. The intimate 130-seat theatre now features brand new stadium seating that makes it an incredible space to enjoy live theatre. The Dunes Arts Foundation, Inc., which operates the Dunes Summer Theatre and The Dunes Youth Programs, was incorporated in the State of Indiana on January 17th, 1952. Located in Michiana Shores, the theatre is nestled on a scenic 20 acre wooded site, about a half mile from the Indiana Dunes and the Lake Michigan shore. It seats over 270 patrons, hosts 12 cabins for summer actors and interns, and has an outside pavilion. Northwest Indiana's award winning community theatre. Free Shakespeare for Northwest Indiana. The Highland Parks Performing Arts Group puts on a summer production on the lawn at Main Square. La Porte Little Theatre Club is family fun and friendly. We encourage everyone to take part in community theatre, whether you are on stage or part of the crew, you just can't beat live theatre for fun and excitement! The Region’s only full-time dinner theatre. The Marian Theatre Guild is Whiting's longest running community theatre, presenting a fall musical and spring drama/comedy annually. The Guild is associated with St. John the Baptist Catholic Church and performs in their Marian Memorial Auditorium located at 119th Street and Lincoln Avenue. Please watch our calendar of events on Whiting's town page for upcoming shows. If you enjoy theatre and have not experienced it in our intimate setting you owe it to yourself to check out a show here. We Think you will love it. Theatre Northwest at the Arts & Sciences Building houses a state-of-the-art 500-seat proscenium theater and a more intimate 100-seat Studio Theatre. Newly opened in the Fall of 2017, both facilities are located on the 2nd floor. Read more about the new theatre here. Each year, the department presents an extensive season of theatrical performances featuring students of many majors. Originally founded in 1990 as the North Coast Cultural Association and was located in the former St. Patrick's Catholic Church. In August of 1998, a devastating fire consumed the old church and the organization was left homeless. After spending the better part of a year on clean up, debt settlement and reorganization, NCCA was gifted with the use of a small building at 125 N. Fourth St. in downtown Chesterton. This empty building has now been converted into the intimate, 50-seat theater, which has been a performance venue for many artists in the Northwest Indiana region. 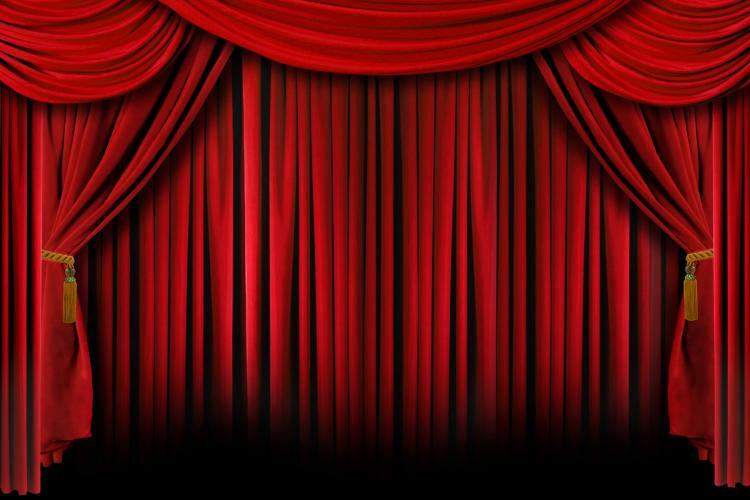 The Genesius Guild is a community theatre troupe based in Hammond, Indiana. The Guild currently utilizes the facilities in the First United Methodist Church of Hammond. The Guild was founded in 1984 as an outgrowth of the summer Vacation Bible School at First United Methodist Church. Our name is taken from Saint Genesius, the Patron Saint of Actors. programs committed to artistic and academic excellence. Bringing theatre to the community! A company founded to help push do-it-yourself productions in the Chicagoland area. This company is together as a place where people who produce their own theatre productions find skills and resources to help make their dreams a reality. Whether it’s team management, audio/video production, theatrical instruction, or graphic art production, we have the ability to help anyone seeking expertise and experience in putting the best production possible forward. The fully handi-cap accessible facility features an over 1000-seat theater, a fully functional proscenium stage with counter-weight fly system, shop, four dressing rooms, make-up room, DMX 512 lighting system and digitally-tuned sound system. The Valparaiso Theatrical Company is a non-profit group meant to focus on providing fund-raising opportunities for other non-profit organizations. The company’s performances have taken them to many venues. The theater is currently looking for a place to perform on a regular basis in the Porter County area until which time we find a permanent home for our performances in Valparaiso, Indiana.